The Chicago law firm of Corboy & Demetrio has been recognized in LexisNexis Martindale-Hubbell's 2013 U.S.Top Ranked Law Firms list, which was published in Fortune's special 2013 Investor Guide. To be eligible as a 2013 U.S. Top Ranked Law Firm, the firm must have a minimum of 10 attorneys and at least 33% of their attorneys must have achieved an AV Preeminent® rating. AV Preeminent® is the highest possible Martindale-Hubbell Peer Review Rating designation. It indicates that the individual attorney is an established practicing lawyer whose local peers have observed him or her to be "Very High to Preeminent" in legal ability and to have "Very High" ethical standards. More than 254,000 law firms were considered in the selection process, but less than one-half of one percent of firms across the nation made the final cut. The list is the only one of its kind to exclusively contain U.S. law firms. 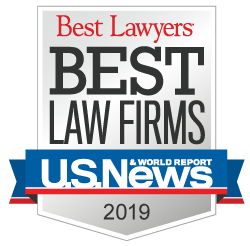 In addition to its publication in Fortune, the Top Ranked Law Firms list also appeared in the January 2013 editions of Corporate Counsel and The American Lawyer, award-winning publications of ALM, a leading provider of specialized business news and information. In addition, it appears on martindale.com® and CNNMoney.com.